We are a leading Manufacturer of cross filament tape, commercial filament tape and filament tape from Bengaluru, India. 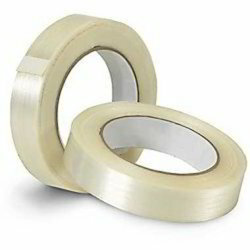 We specialize in manufacturing of a comprehensive range of Cross Filament Tape. This range of tapes offers optimum fiberglass reinforced banking. The tapes that we offer are known to exhibit high tensile strength and serve as highly economical packaging solutions. 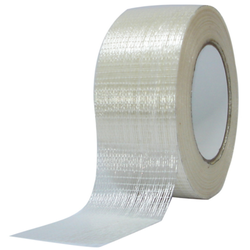 Being highly resistant to abrasion and moisture, our range of tapes serves diverse applications. We are offering an excellent quality of Commercial Filament Tape. For heavy duty packaging, we manufacture a comprehensive range of Filament Tape. Our tapes are available in many sizes, colors, and grades and are demanded in strapping, bundling and reinforcing applications.